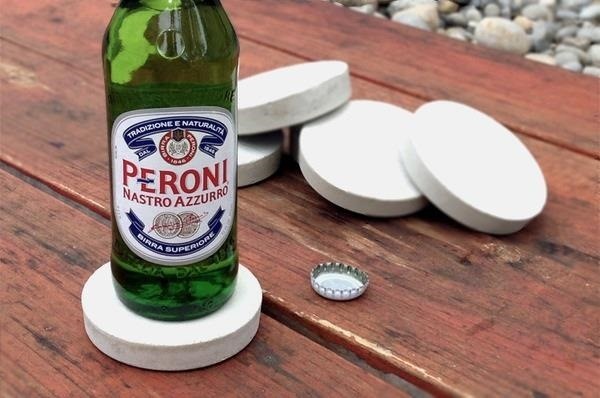 There are tons of materials you can use to make your own coasters, from wine corks to old magazines, but something as basic as concrete can look surprisingly sleek. 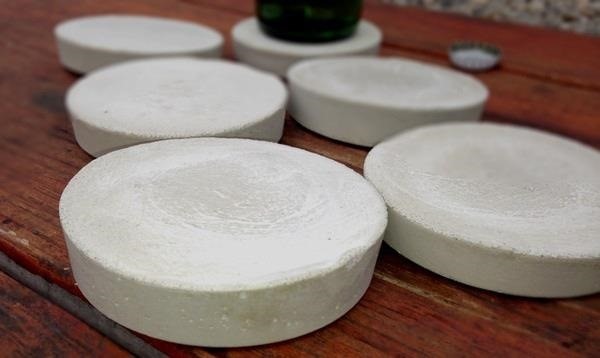 These DIY concrete coasters by Blair over on Man Made DIY look great and are super cheap and easy to make. All you need is a box of quick set concrete, some plastic cups, sandpaper, and felt if you want to line the bottoms. 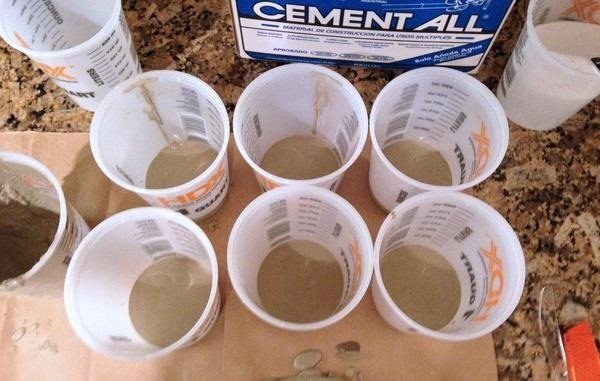 The process is simple—just mix up the concrete in the cups, let it set, remove it, and sand down any rough edges. If you want to add felt to the bottom, let them dry overnight, then just trace and cut out circles the same size as your coasters. The easiest way to do it is to buy self-adhesive felt, but regular felt and glue will work just as well. Check out Blair's tutorial for more details and photos of the process. Need something to do with the leftover concrete? 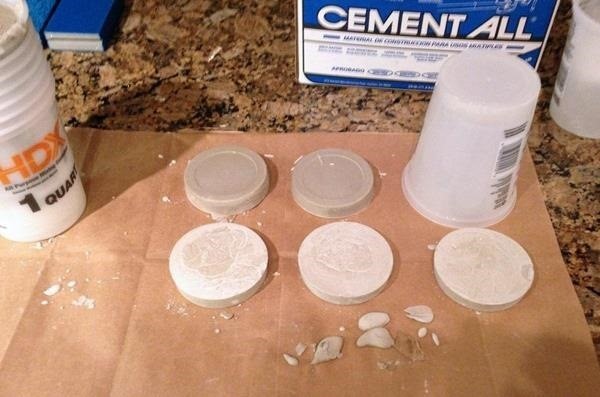 Make yourself a set of concrete stools or pendant lamps to match your coasters.